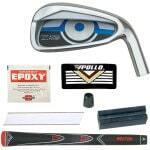 Golf Club component Kits from Monark Golf are great for the occasional clubmaker. Each Do-It-Yourself Kit contains exactly all parts to build a club without unnecessary left overs and help you saving money. Our Club Component Kits make the ordering easy because each kit includes pre-selected shafts, grips & all necessary supplies. 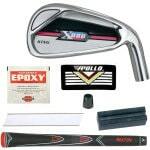 Each club component pack contains a set of 7 x iron heads (your choice #4-PW or #5-SW), 7 x Apollo standard steel iron shafts and 7 x Rexton rubber golf grips. 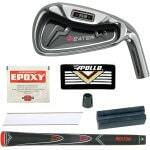 Best wedges I have used. Consistent and surprizing good distance for loft.